settled frontline pacers for any cricket team. 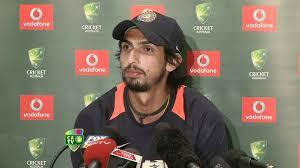 But Ishant Sharma has been swinging around his fortune for too long now. 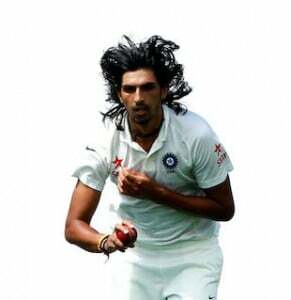 After making a debut at such a tender age of 19, on the verge of completing 7 years in international cricket, Ishant still doesn’t hold a permanent place in the Indian squad. He came into limelight after that magical spell at Perth against Ricky Ponting when he made things worse for the Australian maestro. Since then, his performances on the foreign tours have been pretty decent but he has lacked the spine on Indian soil. 6’4” tall young man from Delhi used to be the talk of the town when he used to clock 145 kph regularly on the speed gun. The extra bounce from the pitch, thanks to his height, used to be his strong weapons. But as case has been with most of the Indian pacers, his pace too started slowing down and that had a major impact upon his performances. His phenomenal performances in patches made him a regular figure in the team, but a permanent place in the team still holds a question mark at the end. 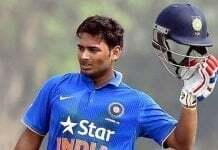 With some splendid bowling performances during the series with New Zealand, he has again been a regular feature during coffee table gossips, but only time will say if 26-years old Sharma, who still has a long way to go, would be able to create a mark in his international career or not. For the time being, let’s watch him dismantle the New Zealand batsmen with those in-swinging Yorkers.